Dubai-based airline, flydubai, has announced the launch of three new Tanzania flight destinations to Dar es Salaam, Zanzibar, and Kilimanjaro beginning in mid-October, thereby expanding the company’s network to 12 African destinations and effectively doubling their network in North and East Africa this year. In 2013, Tanzania welcomed more than one million tourists and the Tanzania Tourism Board has projected that the country will welcome more than two million tourists by 2017. According to Sudhir Sreedharan, Senior Vice President Commercial, the expansion of flydubai’s network is in line with Dubai’s Tourism Vision 2020 to attract 20 million visitors to the Emirate by 2020. “By offering reliable, affordable and convenient travel services from Tanzania, we provide passengers with the opportunity to travel to Dubai and connect onward to more than 200 worldwide destinations through Dubai International Airport,” he said. 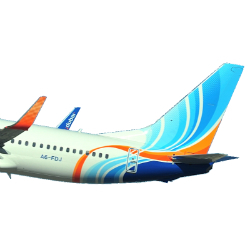 The flydubai network currently includes flights to Ethiopia, Egypt, Sudan, South Sudan Djibouti, Burundi, Uganda and Rwanda.